WHY ARE CONSULTATIONS IMPORTANT ? Whenever you are considering trying a new hair service, or a style that you haven’t done in a while, there are vital tools to gather when you sit down with your stylist of choice. The consultation is a time for you as a prospective client and an RHI specialist to get to know one another. Having a consultation will help your consultant determine your character type and hair lifestyle which will ensure a more personalized result. We showcase live examples of our methods, client photos, color, material and texture swatches, style books and magazines. Our consultation presents all these tools to help aid you in your quest for a solution. Another tool, during this time your specialist would be checking a few vital pieces of information, such as your hair texture, porosity and your hairs elasticity. All this helps us determine the state of health your hair is in, and what needs be done to improve upon it. Please remember, at Romaines Hair Images, healthy hair comes first. 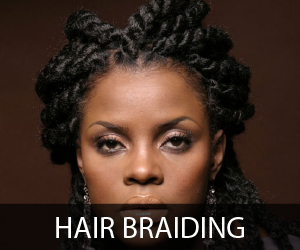 Once we have assisted you in deciding on what service best fits your needs, for example braids or extensions, your specialist would then discuss the pros and cons of this service along with telling you how to maintain your new look, and the cost entailed for both receiving and maintain the new look. We are aware that there are people who do not understand why there is a consultation fee. Being that our staff is highly knowledgeable and well experienced, any knowledge and advice gained from a RHI specialist during a consultation is indeed of great significance. Even if we do not have the pleasure of carrying out your service right away, you will be educated in all you need to know about your inquiries. And that in itself is a powerful. The fees for all consultations are $25, payable prior to consultation in person at the salon. After your consultation, to ensure that no ones time is wasted, a deposit of $100 or more is required to book any of our various hair addition appointments. These deposits will be deducted from your total service cost. We work by appointment only, but if you would like to walk in, first give us a call. *Please note: All fees and deposits are non-refundable upon receipt. Our policy is to honor all fee and deposit receipts for up to 4 weeks in exchange for any services available on our service menu. Quality hair is included with most our services. However, sometimes we may have to pre-order special lengths, textures, and/or colors. Once your hair order has been placed, it cannot be changed. 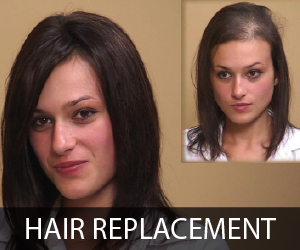 In an effort to protect our clients, as well as the supplier we cannot return hair once it has been ordered. Clients are welcome to bring their own hair, but cost of the service is not likely to change. 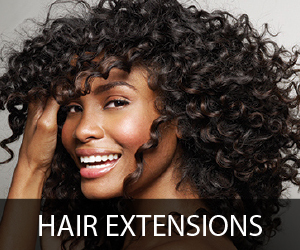 If this is your first time having extensions done, and you are unfamiliar with the method of extensions, we strongly recommend a consultation. Also, if you are one out of the 45% of our clients who travel from out of town, you will need to come in for a consultation one day prior to your appointment in case your hair must be ordered, or custom blended. *Please note: We do not set appointments until your deposit is paid and confirmation has been acknowledged by both parties. If you do not receive a confirmation call, email, or appointment receipt, you have not been successfully booked. The balance payment of your service is due immediately upon completion of your style. We at Romaines Hair Images accept all major cards, cash, and also debit cards. * Please note: We do not accept checks. Express, Travel, Late Night, and Custom Work may be subject to higher rates. Our services are by appointment only. Please do not bring any guests or children with you on your appointment day, unless they are being serviced as well. If for some reason you must cancel please do so within 72 hours of your appointment if you would like to have the opportunity to continue to use our services. All Payments for services are final and non-refundable. We are RHI and we thank you for taking time out to visit our site.